Mamma Mia Trattoria Pizzeria is a family-run restaurant. The restaurant offers superb authentic Northern and Southern cuisine all prepared with high-quality ingredients that reflect the family origins of Italy. The warm and welcoming atmosphere will make you feel like a part of the family whether you are a regular neighbourhood patron or a first time visitor. Mamma Mia offers the perfect setting for any dining occasion. Whether you are seeking accommodations for a romantic evening out, a family gathering, business dinners, birthdays, anniversaries or any other celebratory function we have the perfect menu options and setting. So, welcome to the family. Benvenuto! We hope to see you soon. 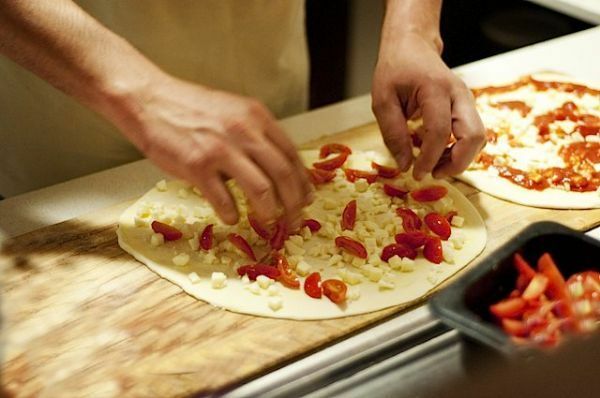 Peppe's Italian heritage and passion for authentic Italian cuisine inspired him to create Mamma Mia Trattoria Pizzeria.